When you join our Fantastic Gardeners’ franchise program, you will discover that becoming a business owner has never been easier. Why? Because our franchise model comes with a difference! We’ll provide you with full training and ongoing support to get your gardening business going so that your investment starts paying off from day one! Our marketing, sales and franchise consultants’ teams will be there for you every step of the way. And that’s not all! You’ll enjoy a full weekly schedule with booked jobs that match your qualifications and experience. Become a gardening franchise business owner in Melbourne, Sydney, Perth or Brisbane! As a Fantastic gardening franchisee, you will have the exclusive opportunity to pass different business and service training courses at our Fantastic Academy. This will help you learn about our franchise model and practices, as well as improve your customer service, sales and cross-selling skills. We can assist you with getting equipped with the necessary tools and vehicle, if you need to, so that you can develop and expand the range of gardening services, you wish to provide. Our marketing strategy team’s job is to take care of the brand’s online and on-field presence, as well as provide you with marketing merchandise and advertising materials. This means that you’ll enjoy instant recognition when delivering our high-quality gardening services to new and existing clients of the company. We’ll process leads and book jobs for you, so you’ll be able to concentrate on growing your business, benefit from guaranteed earnings and focus on delivering great customer experience. Depending on the experience, qualifications and equipment you have, you can provide various gardening services under the Fantastic brand. You can always attend further training courses at a later date, in order to be able to offer more specialised gardening solutions to our customers and this way, improve your earning potential. To provide this service, you’ll need an all-round experience in various gardening tasks (planting, weeding, hedge trimming, lawn care, shrub pruning, mulching, garden cleanup, etc.). You’ll also need to invest in getting equipped with essential tools and a van or a ute. You’ll have to be prepared to take away any work-generated green waste unless the client wants to make use of it (for compost). The lawn mowing service is a popular garden care solution in all our four locations. Busy families and business customers generally require the grass cutting service on a regular basis. Our gardening franchise partners use professional petrol mowers and whipper snippers and have a vehicle of a suitable size. The Fantastic landscape professionals need be experienced in transforming/ improving garden spaces, with respect to design, fixtures, hardscape surfaces and structures, plant life and landscape. The service is charged “per job” after a preliminary viewing and planning. You’ll need to be willing to purchase materials, if requested, and execute the project to a high standard, whether it involves turf laying, patio installation or creating a rockery. If you are qualified in arboriculture (Certificate I, II or III), we want to hear from you! 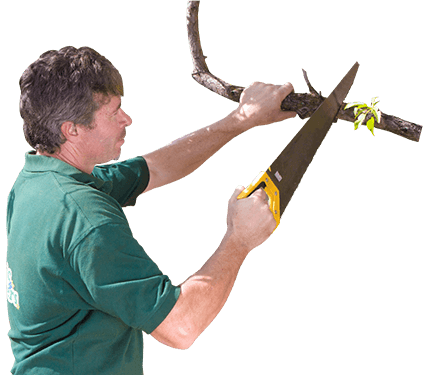 The service is highly specialised and depending on your certification, experience and equipment, you can develop a relatively low-competition business in the tree care industry sector. Suitable franchise candidates can benefit from a customised investment plan. Are you a sole trader gardener (with or without employees)? Or do you own a small gardening company? Then, getting into a franchise partnership with us can only bring you heaps of benefits. We’ll expand your client base, increase your turnover and help you succeed even further! If you are a green-fingered enthusiast who wants to make a career out of their horticultural skills, our gardening franchise offer couldn’t be more ideal. With us, you will gain further experience on the job, improve your sales and customer service techniques, but more importantly, you’ll operate your own successful business with the full support from a recognisable brand. Are you ready to join the Fantastic Gardeners’ Team? We offer other franchise business options. So if you know someone suitable, let them know! 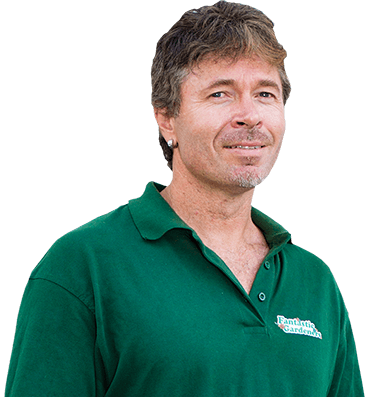 Fantastic Gardeners is a branch of Fantastic Services Group - an established franchise company, which provides a wide range of property maintenance services to domestic and business customers in Australia. Since 2011, our network of professional gardening franchisees has grown and now covers four major cities and their suburbs: Melbourne, Sydney, Brisbane and Perth. By starting your own gardening business with us, you can count on a stable career with a focus on independence and growth, yet, with the benefits of operating as part of a supportive team. Get in touch to start your own gardening business!